Lemon Law - How To Know If Your Car Is A Lemon Or Not! You might think you have a lemon and you don't. Know what constitutes as a lemon. You might have enough defects in your car that constitute it as being a lemon. Did you know that even though the car is drivable it may still be a lemon. There are many factors you should consider if you have a lemon and if you can do something about it. 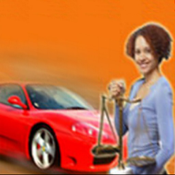 1) Find Out If Your Car Is A Lemon Or Not with this Ebook.